Fans of the Mario games looking for some art for their rooms should definitely check out this awesome bit of fan art by digital artist Ken Wong. 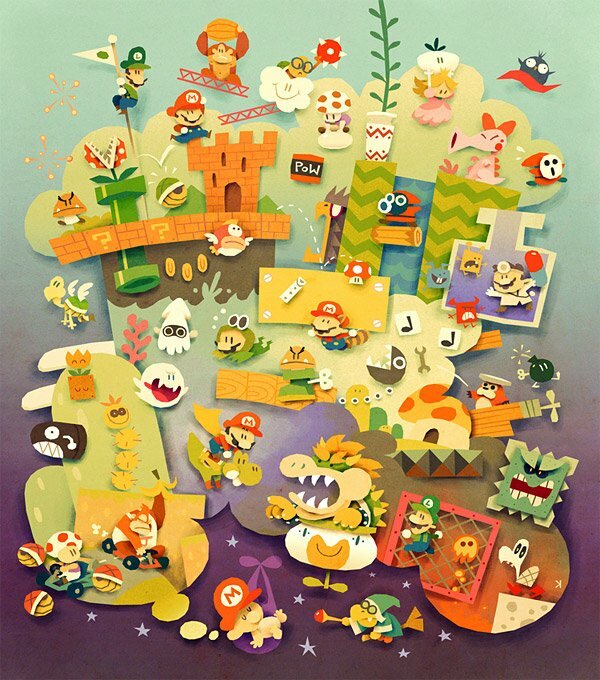 This single image, simply titled Mario Dreams, is jam-packed with characters from the Mario universe, all drawn with a whimsical and dreamy cartoony style that I’d personally love to see Nintendo use in an upcoming Mario game. I’m not holding my breath, but thankfully I can still have this poster for my wall. Mario Dreams is available in high quality giclée prints in 12″x18″ ($20 USD), 18″ x24″ ($40) and 24″ x 36″ ($80) sizes over at inPRNT.